We first spent a weekend in Blowing Rock after stumbling upon the small mountain town during one of our Blue Ridge Parkway journeys. It has since become one of our favorite places to visit throughout the year. It’s got something for all of our inner travelers, from the beautiful scenery that surrounds it to the quiet and cozy downtown that’s filled with fun shops and great eats. But what should you do if you’re spending a weekend in Blowing Rock? Keep reading and you’ll know exactly how to enjoy this wonderful part of the world. 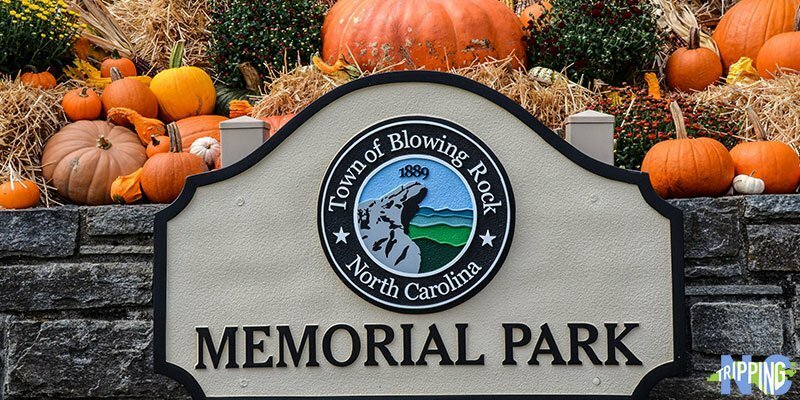 We have a Blowing Rock page if you’d like to learn more about this awesome town. If you’re looking to call it a night or more there, check here for the best prices on places to stay in Blowing Rock! 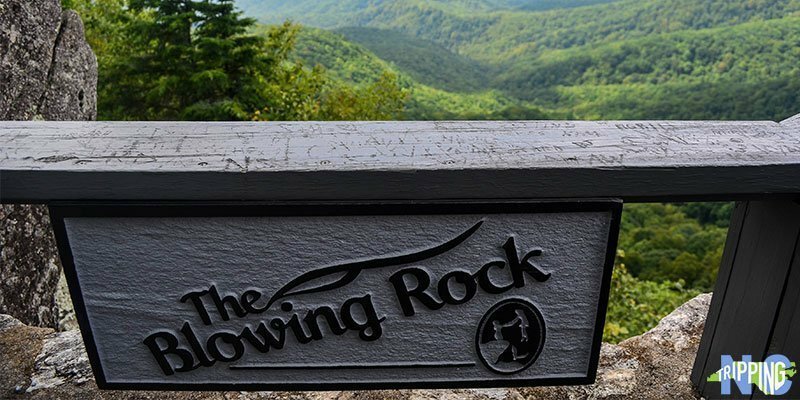 Blowing Rock is known as “Crown of the Blue Ridge” and like many towns in North Carolina, it’s a part of two counties—Watauga and Caldwell. 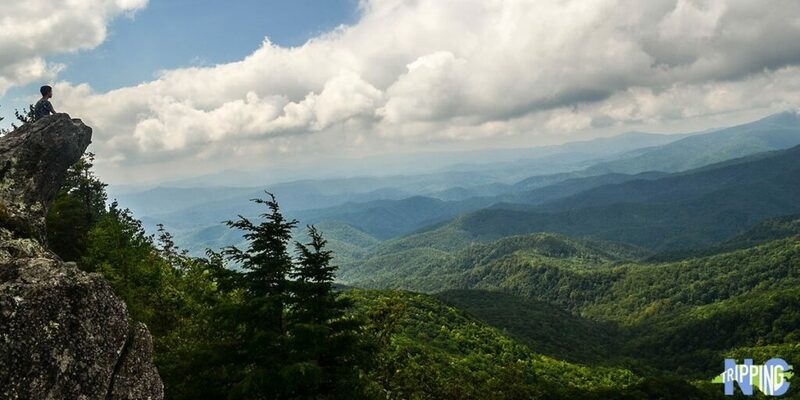 It’s named for The Blowing Rock, known as “North Carolina’s Oldest Travel Attraction.” Jan Karon spent time in Blowing Rock and based her Mitford series on the town. Just over 1,000 residents live there, which makes it ideal if you’re a fan of small towns. Many people from North Carolina’s cities come here. It’s about 3 hours from the Raleigh and Durham areas and about 2 hours from Asheville, making it a popular place for people from both areas to visit. I’m a huge fan of visiting Blowing Rock throughout the year but will say that spring and fall are great times to hang out there. Things do cool down in the winter, but if you’re seeking quiet and solitude during those months, Blowing Rock is your place. The town gets busy when the weather warms up, as it’s a little bit cooler than the flatter parts of North Carolina. Fall is our favorite time to visit Blowing Rock, thanks to the beautiful foliage and changing colors found along the area’s tree-covered paths. And, of course, for the views, but you’ll see that when driving the Blue Ridge Parkway. Fall brings the best views, but it will also bring more visitors, so keep that in mind when looking for Blowing Rock hotels or cabin rentals. The hotels in Blowing Rock range from right in town to tucked away in the mountains. We stayed in town and the Meadowbrook Inn was a very short walk away from the restaurants and shopping. They had a breakfast bar, which is a great (and FREE) way to start the day. 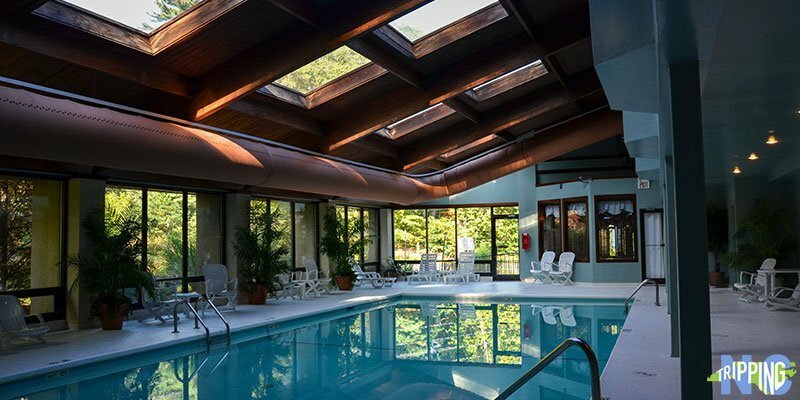 There’s also a pool to compliment the Meadowbrook Inn’s very comfortable and relaxing rooms. 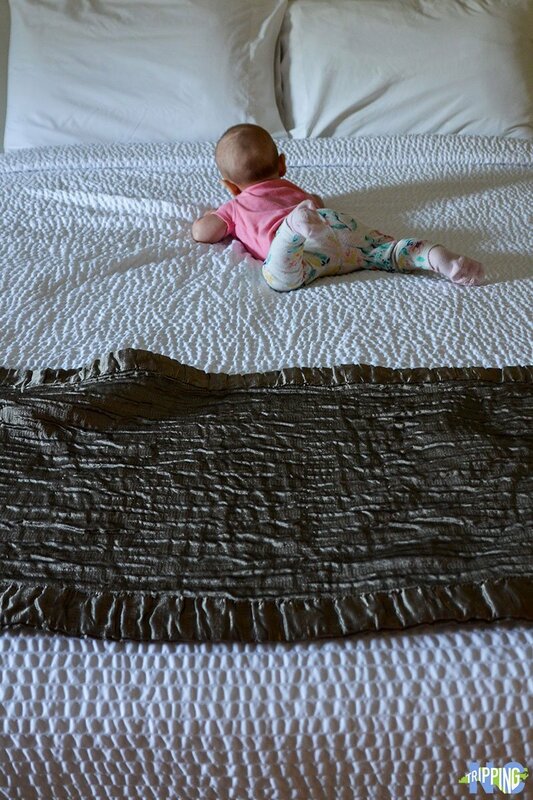 It definitely helps if you’re traveling with a little one like we have. That’s why it ranks as one of our favorite hotels in North Carolina! We walked past some more of the best Blowing Rock hotels, including Azalea Garden Inn and Mountainaire Inn & Log Cabins. There are more than a few places to stay in Blowing Rock, and many are very fairly priced. If you want pure relaxation and a getaway within the getaway that is Blowing Rock, I’d recommend Chetola Resort at Blowing Rock. If you can’t get into Blowing Rock, there are more hotels in Boone, which is just a short drive away. There are some great things to eat in this town. Our favorite Blowing Rock restaurants start with The Speckled Trout. Their menu and wine selection tell me that they want to push the envelope for visitors and residents alike. We also like some craft beer and were happy to stop by Blowing Rock Alehouse Restaurant. Testing my favorite beers at the source while also enjoying food is a big plus! 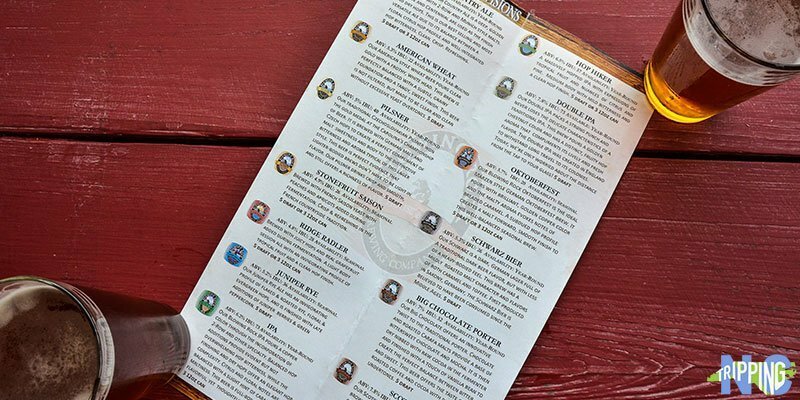 We included Blowing Rock Alehouse Restaurant in our collection of favorite North Carolina breweries, as well as in our Spring Things to Do in North Carolina! Six Pence Pub is a UK-influenced place with a delicious menu and is right in the middle of the town’s busy shopping area. If you’re staying at a bed and breakfast in Blowing Rock, you might not need to go out for a pick-me-up. But I was very happy with the coffee in town. Camp Coffee is a cool mix of really good caffeinated stuff and outdoor store. We’re always searching for more to eat, so if you get to sample any of Blowing Rock’s finest, we’d love to know what your favorite eats were? Our North Carolina food section also covers spots beyond Blowing Rock, if you’re going to be sticking around the state for a while. While I love this small town, I have more affection for the outdoor things to do in Blowing Rock. We fell in love with the Glen Burney Trail. It’s right next to the downtown and begins in Annie Cannon Gardens. Once you enter, you’ll feel like you’re far away from everything. 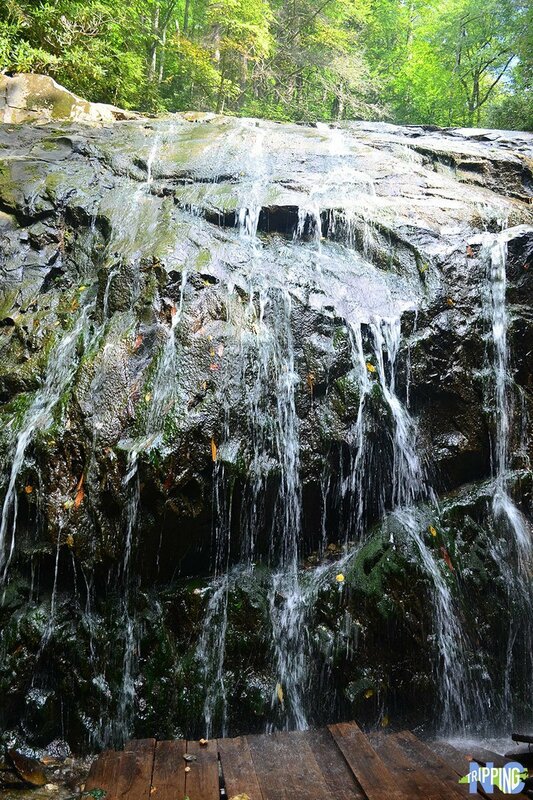 The trail will lead you to either Glen Burney Falls or Glen Marie Falls, depending on the route you take. Another beautiful Blowing Rock walk is inside Moses H. Cone Memorial Park, where you circle a picturesque pond. The immense Flat Top Manor overlooks it all and seems huge even from below. 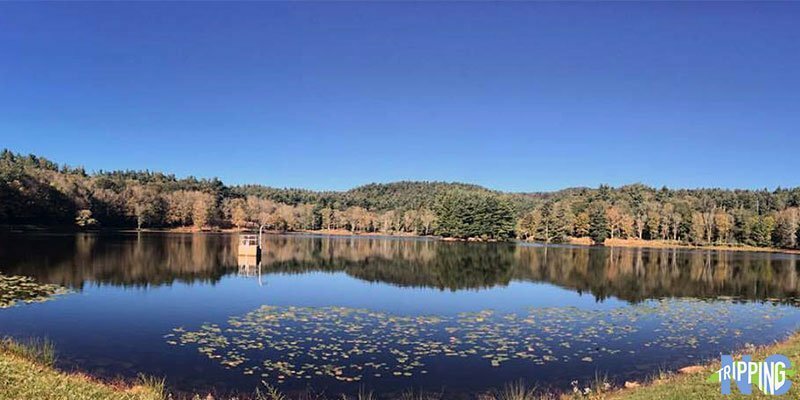 You can keep driving for about 4 miles along the Blue Ridge Parkway and spend time at Julian Price Memorial Park and even stay overnight at the Julian Price Campground. We included both Glen Burney and Moses H. Cone in our guide to fall hiking in North Carolina! One thing that should fit into your weekend in Blowing Rock, especially if you’re traveling with kids, is a day at Tweetsie Railroad. I have to admit that the child inside me came out while riding on the train and watching the cowboys and train robbers, duke it out. No spoilers! You’ll notice a lot of younger people working there, and they likely live in Boone and attend Appalachian State University. Thanks to that thriving college, there are a lot of things to do and great restaurants in Boone. We can’t wait to revisit that part of the area, too! Looking for some cold weather fun in Blowing Rock? Tweetsie Christmas was included among these other awesome Winter Things to Do in North Carolina! 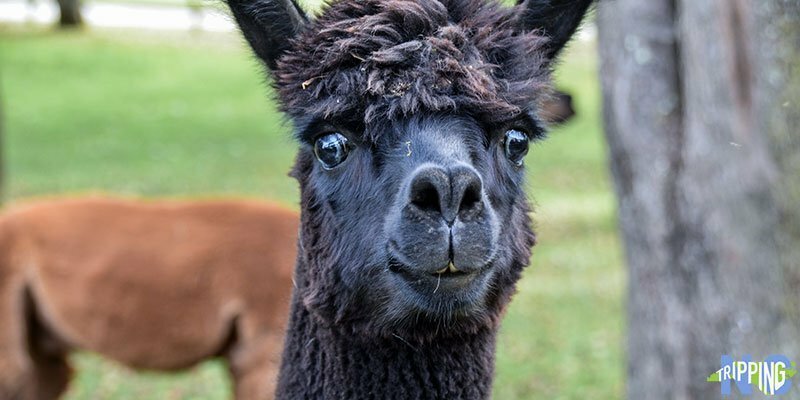 Many people come for winters at Sugar Mountain, but I think people should come year-round to visit Apple Hill Farm and see the wonderful people and animals there. Just one thing you should know is that this farm is NOT for apple picking and they do not sell apples. However, they do provide the greatest escape from this chaotic world. For a look at North Carolina’s first historic rural town, visit Las Valley Cruces and the Original Mast General Store. As you can see, there are quite a few things to do in these small towns. We also included visiting Tweetsie year-round and Apple Hill Farm in our collection of Unique Things to Do in North Carolina. 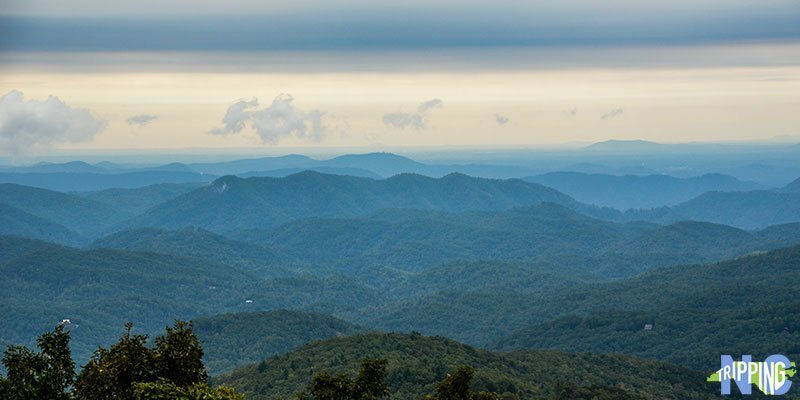 Blowing Rock is close to more of North Carolina’s most beautiful outdoor places. 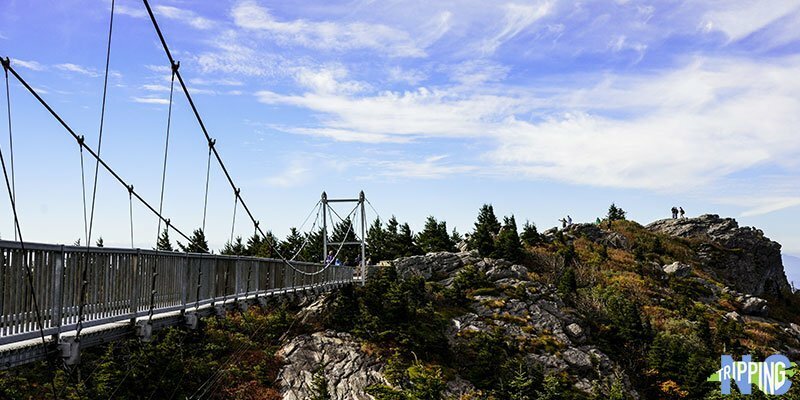 Grandfather Mountain State Park is a great way to spend a day, as there are gorgeous hikes, that breathtaking mile-high bridge, and wildlife exhibits inside. It’s not far from Linville and Linville Falls, which is another one of our favorite places to visit in North Carolina. Grandfather Vineyard and Winery is the first producing winery in Watauga County. Spend some time chilling by the water and drink some of their delicious offerings and you’ll see why they’re so popular. We have always loved the mountains, so it’s fitting that Blowing Rock and its surroundings would earn such a warm spot in our hearts. I can’t wait to go back and walk around the downtown before planning our day of exploration over some Camp Coffee or Blowing Rock beer. What about you? Have you ever been to this part of North Carolina? What did you think of it? If you’re in the midst of planning a trip there, where do you plan to go first? We’d love to read your thoughts in the comments section below! This post about weekend things to do in Blowing Rock NC was originally created on February 19, 2018. It has been maintained and updated (as of September 14, 2018) to reflect current viewpoints and North Carolina travel trends. This entry was posted in Travel and tagged Blowing Rock, Boone, Small Towns, The Mountains, Watauga County.